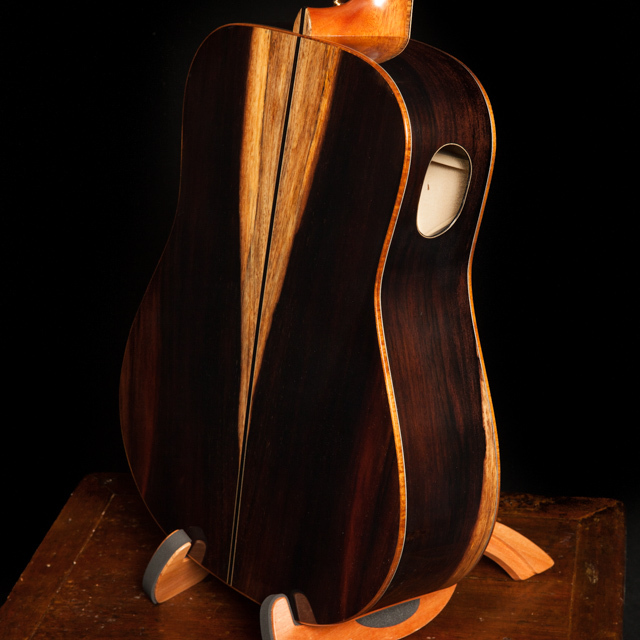 Sloped or square-shouldered, deep-bodied, familiar and comfortable. 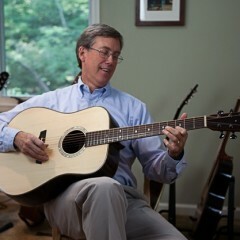 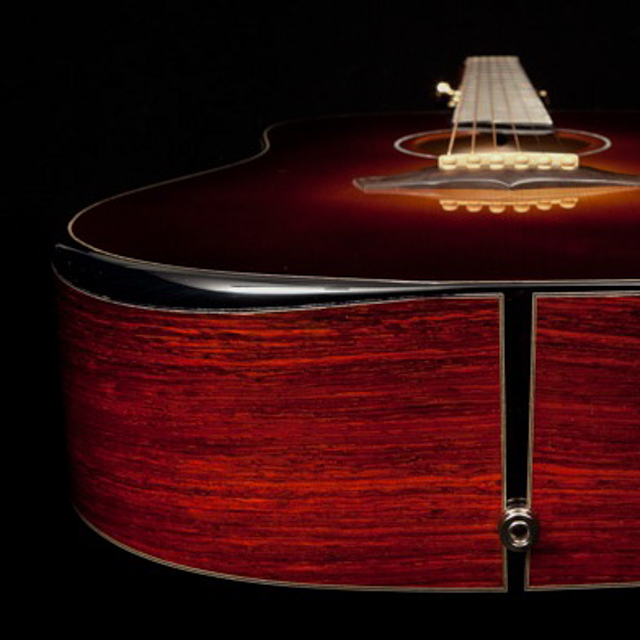 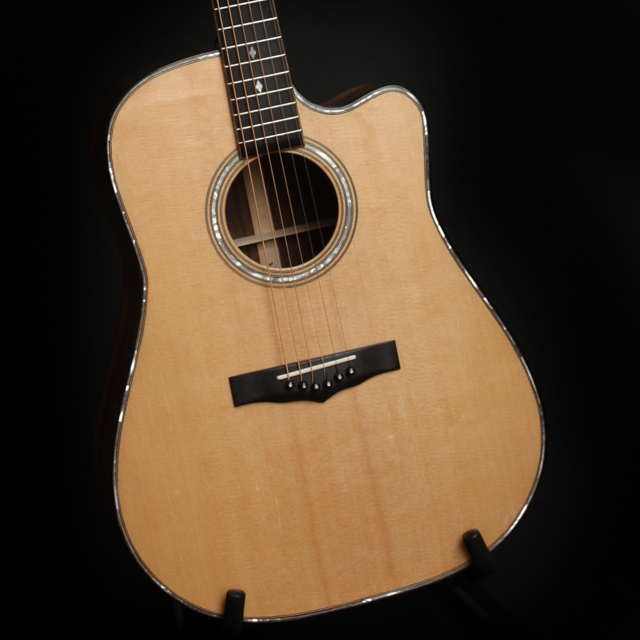 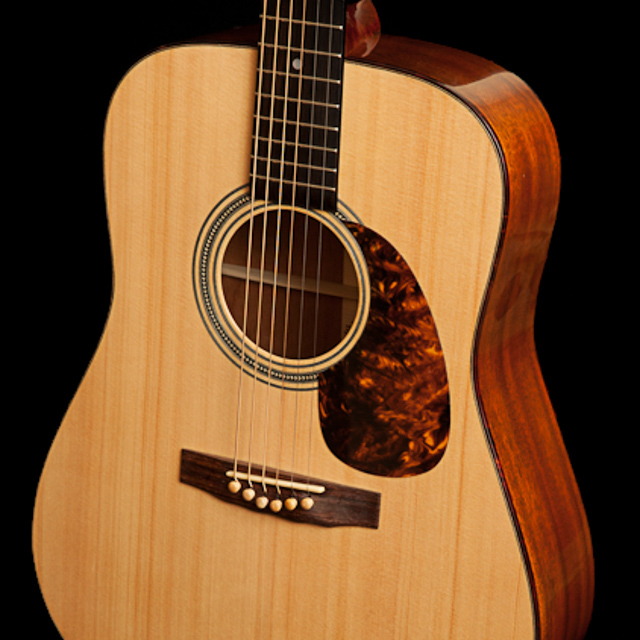 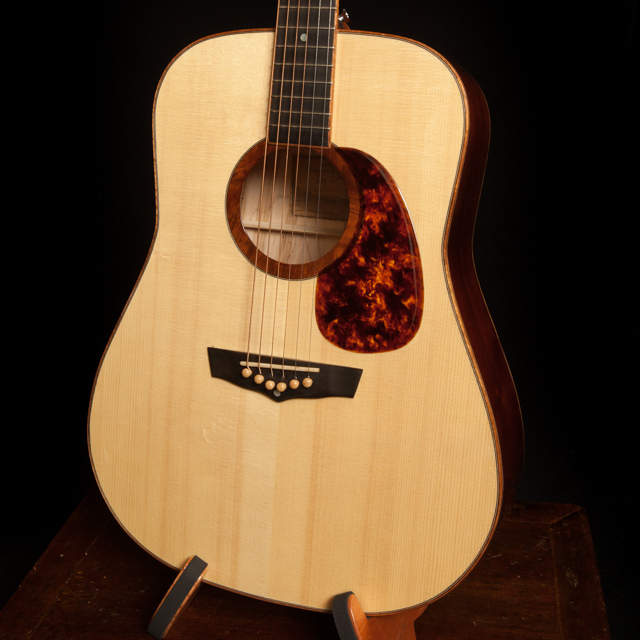 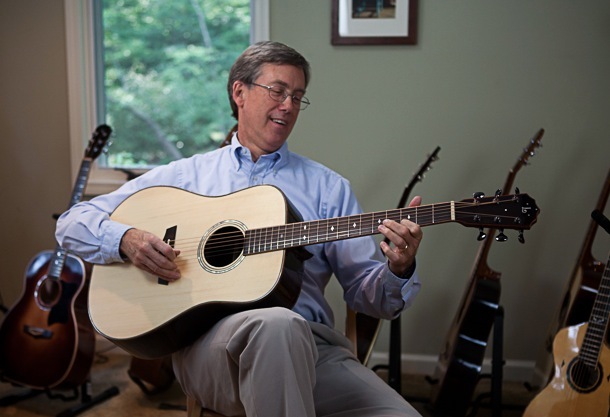 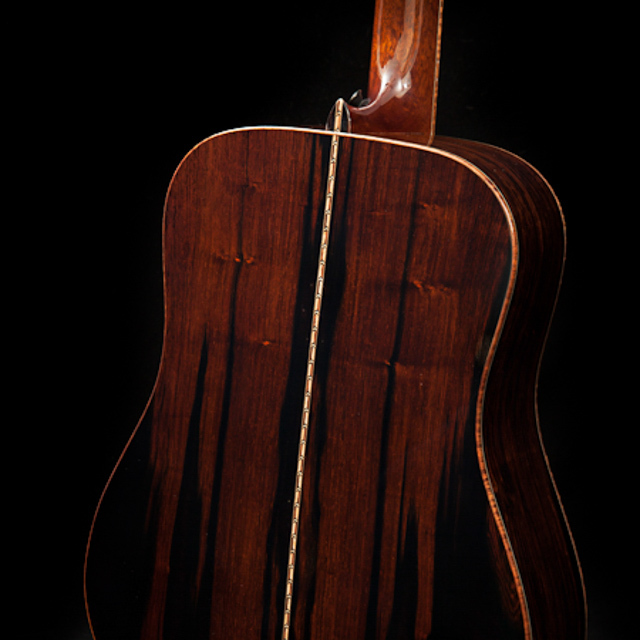 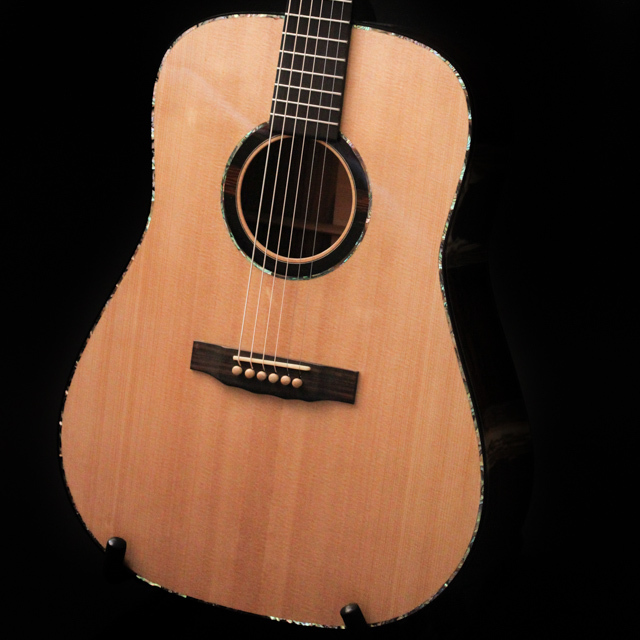 The Lichty dreadnought-style guitar is a contemporary interpretation of the most popular steel string guitar design in the world. 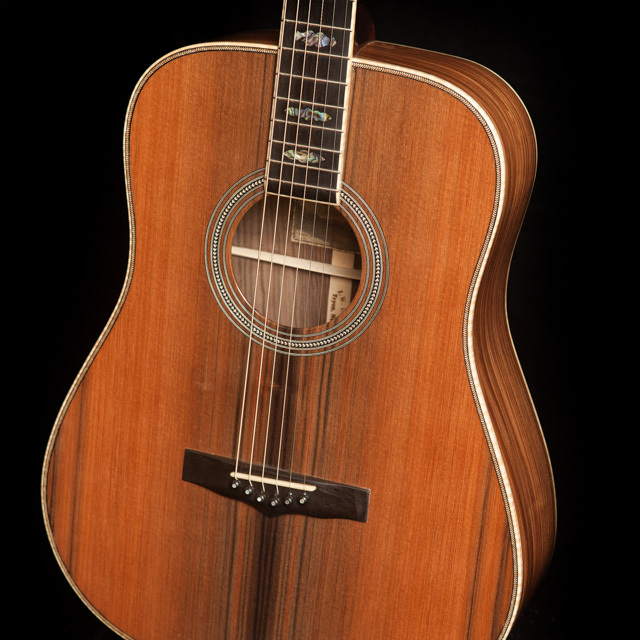 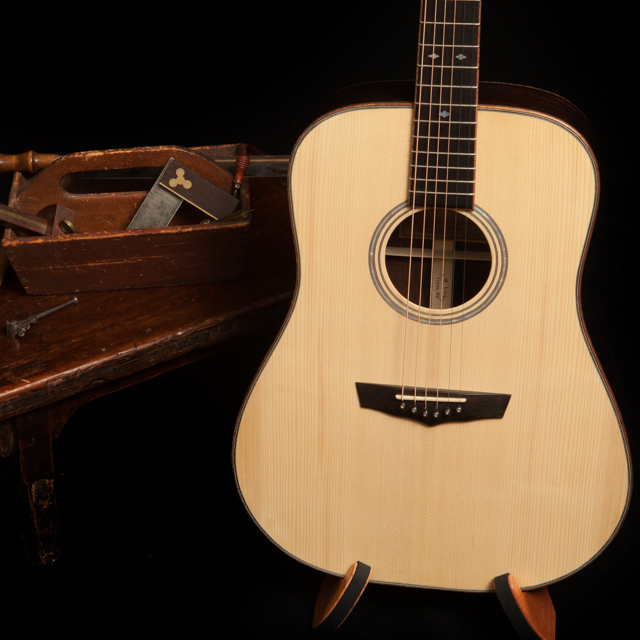 Jay blends the best of the old with the new by honoring the classic guitar-building traditions while infusing his intuitive luthier style into the building process. 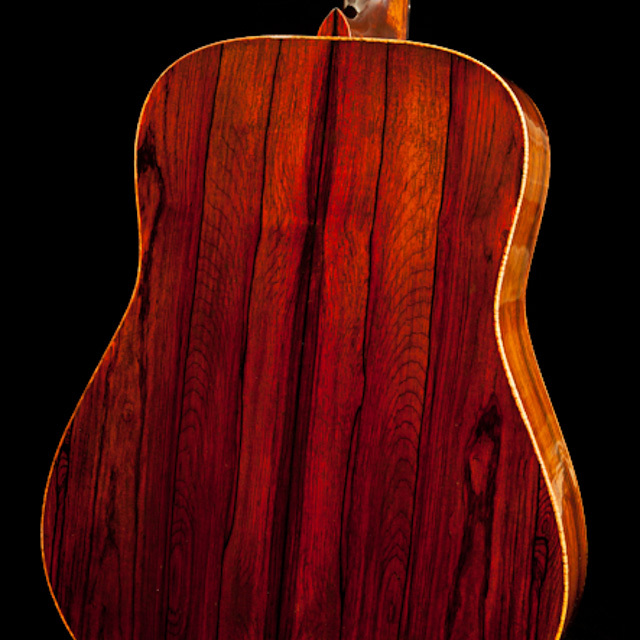 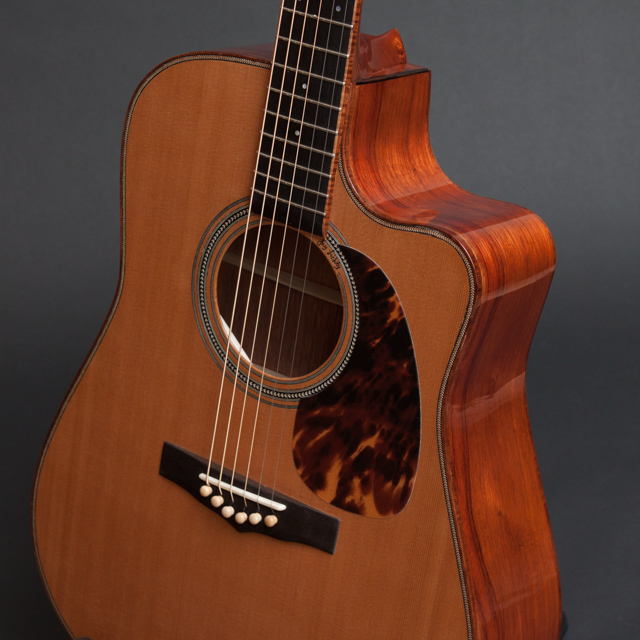 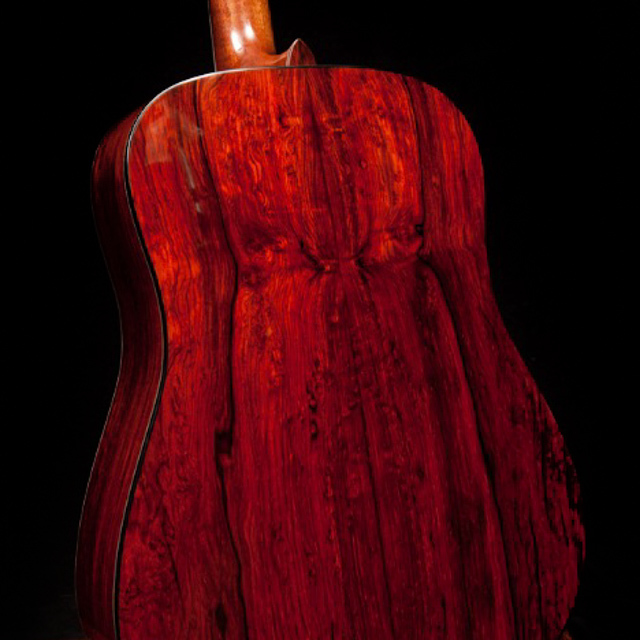 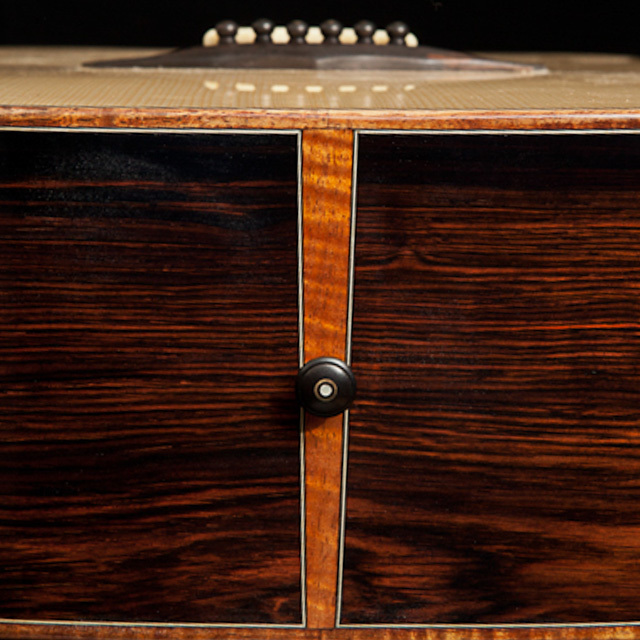 While a classic Rosewood or Mahogany D-series type model is an option, our extensive selection of premium domestic and exotic woods makes the variety of custom designs and options almost endless. 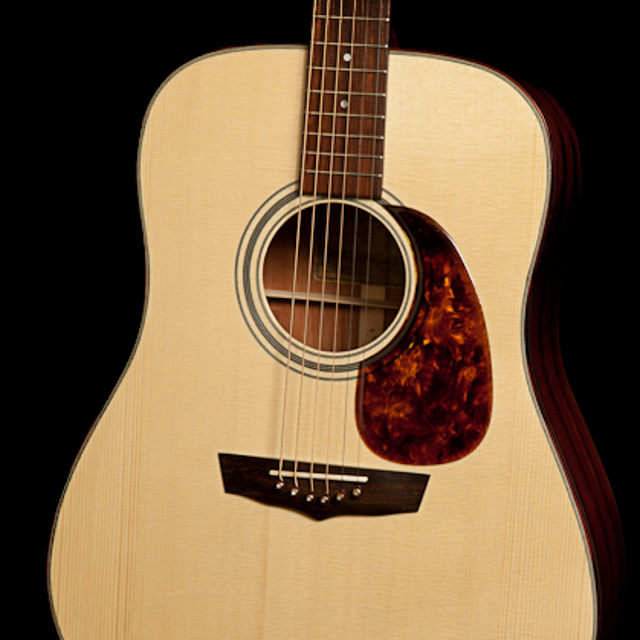 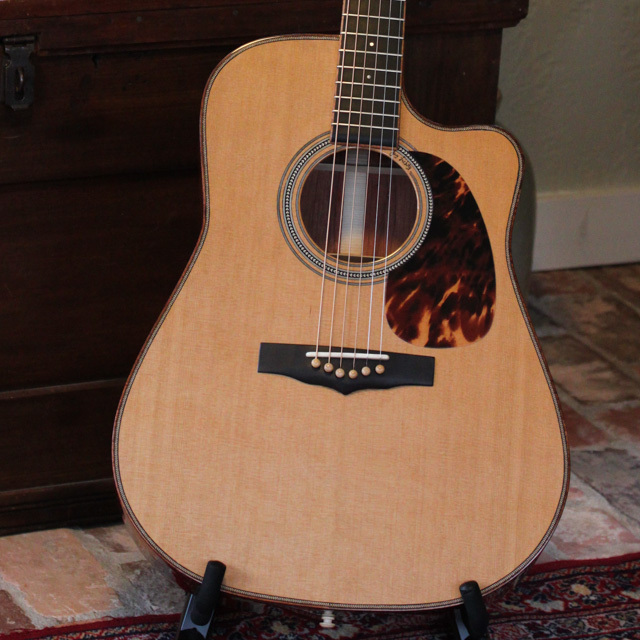 The quality of the dreadnought sound is full, balanced and powerful with deep bass registers. 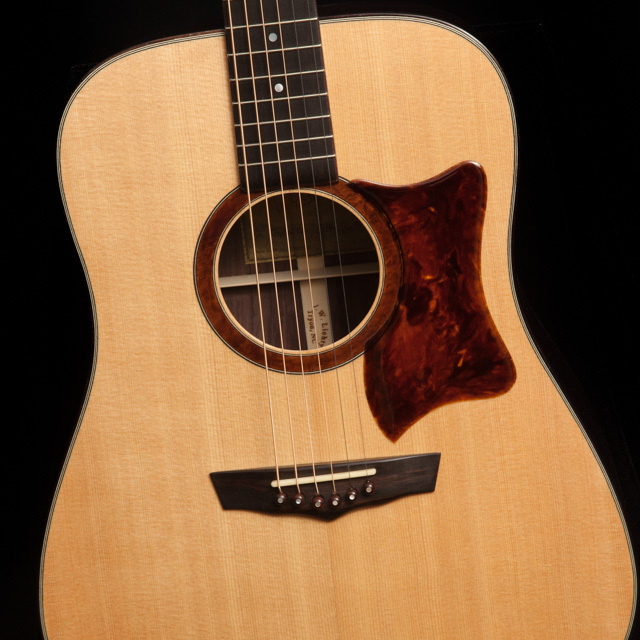 See our Price Calculator to run the numbers for different custom options. 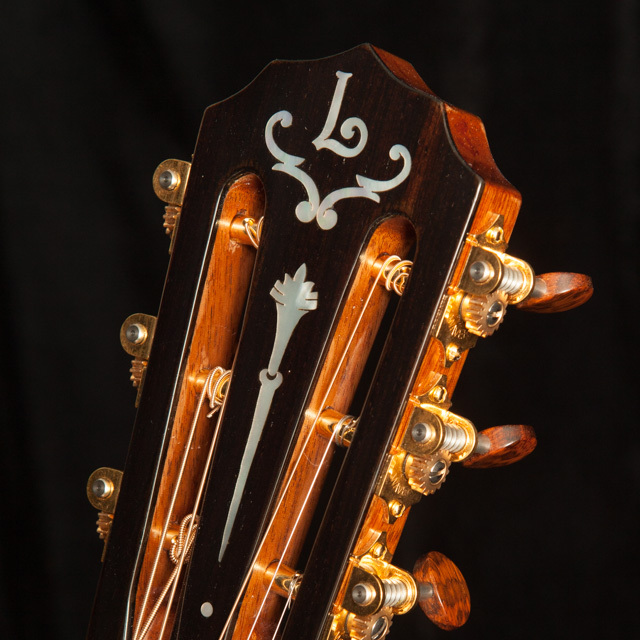 See all guitar models Jay currently builds. 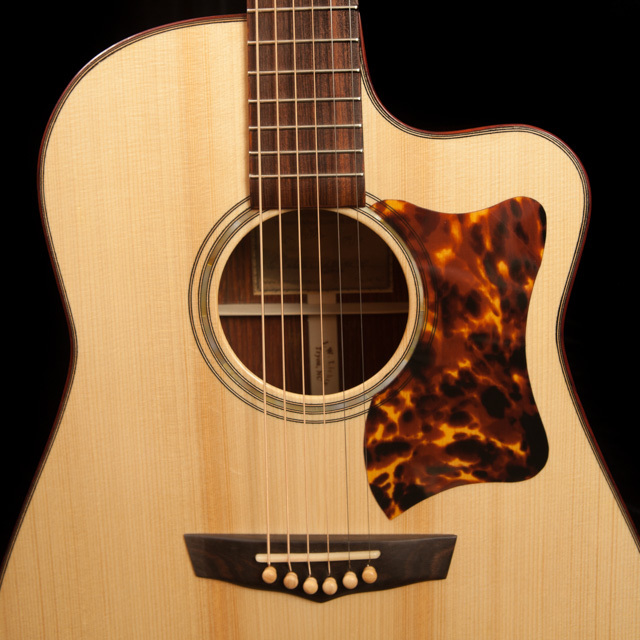 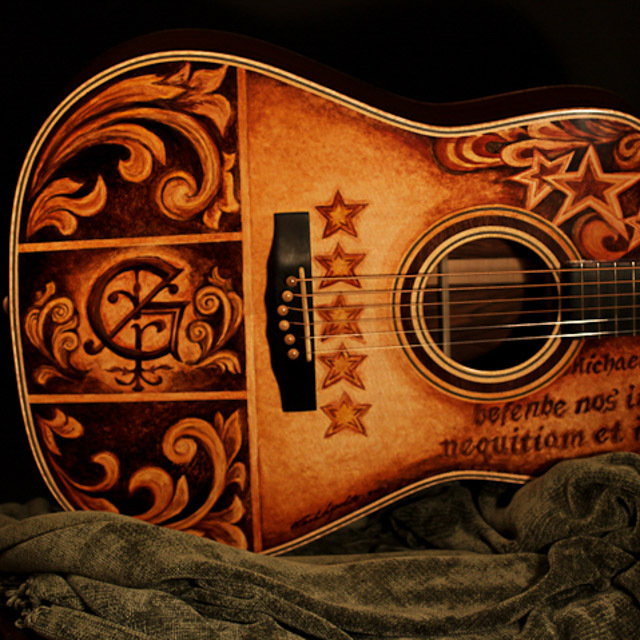 Learn more about ordering a Custom Lichty Guitar.